It’s time for matcha to move over, because a new latte is in town and it’s here to stay. Turmeric latte might not be as Instagram happy as the green matcha, but it’s benefits are also pretty damn awesome, so it’s worth your time. By now most of us have been made aware of the incredible benefits of turmeric, and I really do recommend adding it into your diet when possible – always with a pinch of ground black pepper for ultimate absorption. I don’t want to shove loads of information down your throat, so I’ll keep it brief. Turmeric, or more specific the curcumin in turmeric, has been shown to be a potent antioxidant, anti-inflammatory, antibacterial, anti-viral, anti-anything-and-everything really. It’s good for your health, your gut, your cells, your liver. Maybe it’s even good for your relationship, who knows! 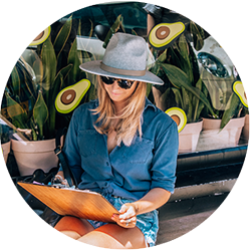 It’s very prominent in Ayurveda, which something that truly fascinates and intrigues me, and I’m always looking to know and learn more. I’d love to escape to India for a bit, but for now I’ll just have to rely on the amazing turmeric to help me through this hectic life in London. I use organic ground turmeric from Wunder Workshop, and I absolutely love it. It also comes in a glass jar, so no plastic in sight which is always a win! It just isn’t good for that new white t-shirt you just bought. If it touches it, it will never come off, so be warned. Place all of the ingredients, except the chia seeds and cacao, into a small saucepan and heat on low without bringing to a boil, whisking to get everything well incorporated. Once it’s nice and hot, carefully remove and discard the tea bags and pour the latte into a mug. Sprinkle some cacao powder, cinnamon and ginger, if desired, and the chia seeds. Place all of the ingredients, except the chia seeds, into a small saucepan and heat on low without bringing to a boil, whisking to get everything well incorporated. Once it’s nice and hot, carefully remove the tea bags, let cool for a few minutes and carefully pour the liquid into a blender with some ice. Serve in a glass with a sprinkle an extra of cinnamon and ginger, if desired, and the chia seeds. 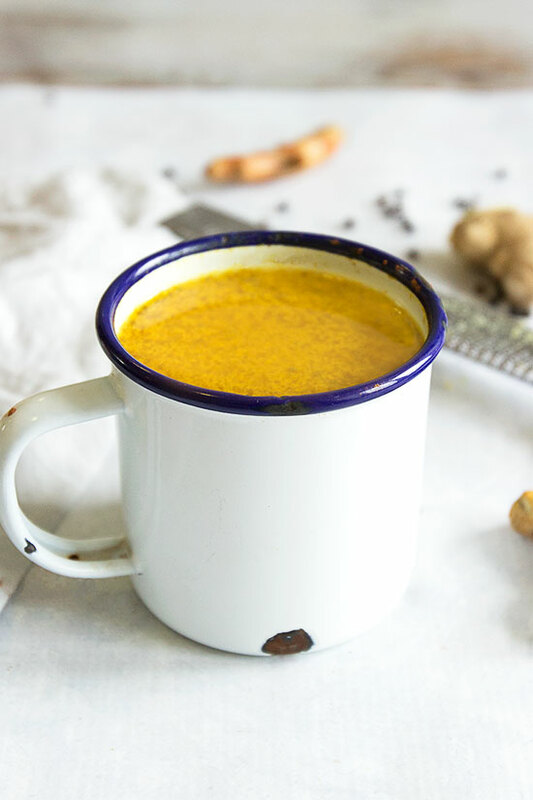 Hey Buddy!, I found this information for you: "Healing Turmeric Latte". Here is the website link: https://www.sprinkleofgreen.com/healing-turmeric-latte. Thank you.